Life Begins After Coffee Shirt: Aeropostale. 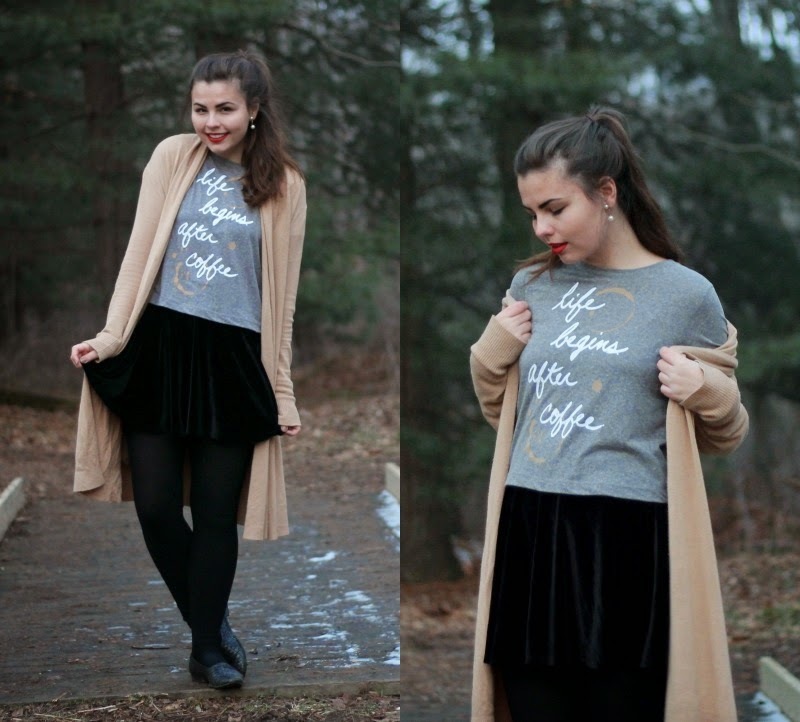 Black Velvet Skirt, Long Cardigan, Flats: Thrifted. Sadly, Wisconsin is pretty much devoid of snow right now - I keep hoping that some will magically come by Christmas, but it doesn't look like it. But maybe it'll be here when you come! Where is Wisconsin will you be? Cute outfit! Love this shirt!!! Your Christmas sounds lovely, including a trip to Wisconsin - I had a dear friend who lived in River Falls for years, and the Dells, I think it's called (?) is supposed to be beautiful! Looking forward to pictures!